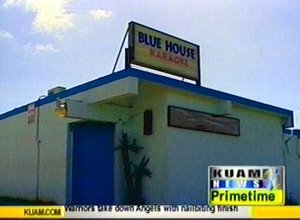 We now know from news reports that the owner of the Blue House not only forced Chuukese women into prostitution, she also forced at least one woman to get an abortion when she became pregnant. An informed consent law like that proposed by Bills 54-30 and 52-31 would require a pregnant woman who arrives at an abortion clinic to be given information on the alternatives to abortion, a phone number to call for help, and a 24 hour waiting period. Had this woman been able to call for help the Blue House slave ring might have been discovered earlier. But there is no law, and there was no number. During the debate over Bill 54-30, opponents of the bill argued that we had no business interfering with a woman’s choice, that abortion was a decision between a woman and her doctor. Obviously, this was not the case for the slaves of the Blue House. In fact, this is not the case for many women. A 2004 study published in Medical Science Monitor showed that 64% of women who aborted felt pressured, and 65% showed symptoms of trauma. In fact, a 1998 report in the Journal of the American Medical Association disclosed that murder is the number one cause of death for pregnant women. The report Forced Abortion in America revealed also that post-abortive women have 31% more health complications, a 65% higher risk of clinical depression, a 3.5 times higher risk of death from all causes, and are 7 times more likely to commit suicide compared to women giving birth. Even the pro-abortion Guttmacher Institute reported that some 30 percent of women have an abortion because someone else, not the woman, wants it. While abortion continues to masquerade as a “women’s rights” issue, abortion is really all about men, and freeing men to use and abuse women without consequence - other than a quick trip to the abortion clinic with girlfriend in tow when there’s a slip up. Yet our lawmakers continue to lecture us about a woman’s right to choose and challenge legislation that would force abortionists to advise women of their real rights: the right to require the father to pay for her medical care and financially assist her in raising her child, the right to Medicaid benefits for maternal care if she qualifies, the right to know about alternatives to abortion including adoption, and the right to know of the psychological and physiological risks of abortion. Do we really think that an abortionist is going to give a paying client the phone and tell her to call a crisis pregnancy center? or CPS so she learn about the availability of adoption? Also, many women who are harmed by abortion do not seek damages from the abortionist because they do not want their abortion to be known. Thus there is need for regulation like that proposed by Bill 52-31. Informed consent legislation was first authorized by the U.S. Supreme Court in Planned Parenthood v. Casey in 1992 and has been adopted by more than thirty states. After more than four years of trying, it is hoped that Guam lawmakers will finally see that there is nothing wrong and everything right with ensuring that women have all the information possible prior to an abortion so that their choice can be a true choice. As of this writing, Senator Rodriguez is once again attempting to report out Bill 52-31 in the hopes of getting it passed before the end of the legislative term. We will be watching. But back to the Blue House case. The Governor has rightly ordered a deeper investigation into a possible police cover up, but he should also order an investigation into the abortion(s) that may be connected to the case. Physicians are “mandated reporters”. They are required by law to report abuse or signs of trauma and they are trained to recognize it. It’s hard to imagine that a pregnant, frightened, enslaved Chuukese immigrant, forced into prostitution, and living under daily threats of abuse of every sort, didn’t raise a red flag the moment she walked into the abortionist’s office. A PERSONAL NOTE: I am well aware of how hard it is to read about abortion. It’s tough to write about it. But as Fr. 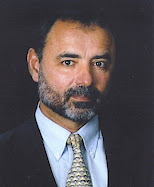 Frank Pavonne of Priests for Life says: “Where abortion is hidden, abortion is tolerated.” And it has been hidden much too long on Guam. We are at a crisis point. We are aborting one out of every ten pregnancies with the majority being Chamorro. With a waiting list of adoptive parents at Child Protective Services, let’s see what we as a community can do to at least let those mothers know that there are alternatives to abortion and lifelong regret. Let’s pass Bill 52-31.